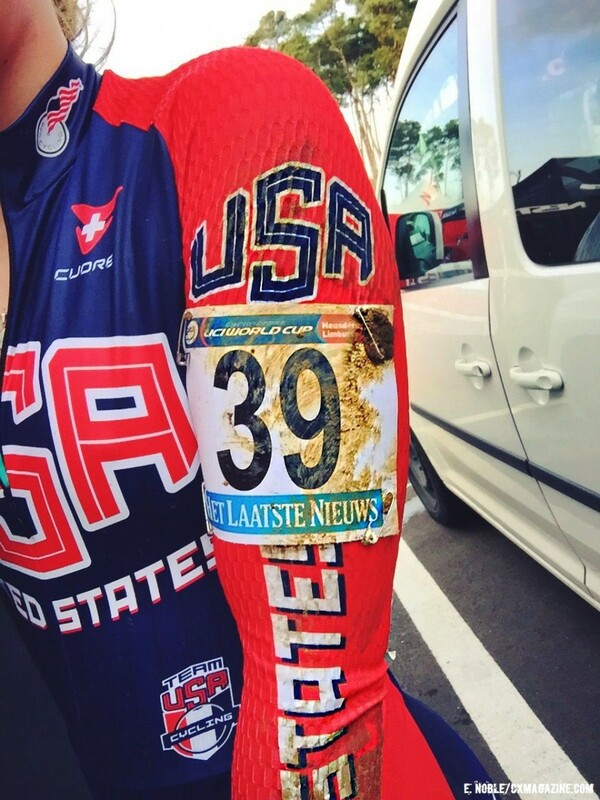 Entry eleven in our rider diary series from the USA Cycling Cyclocross Development Camp comes from Ellen Noble. This is her first trip to cross camp and she’s taking it all in and all in stride. Noble has seen steady improvement over the years, reflected in her being invited to this year’s cross camp. 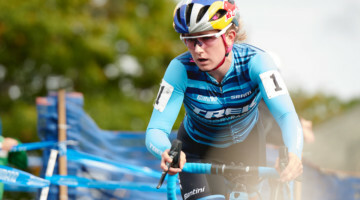 With rides like her win at the Cycle-Smart Northampton International and her second place finish at the NBX Grand Prix of Cyclocross it’s no wonder she got the nod. 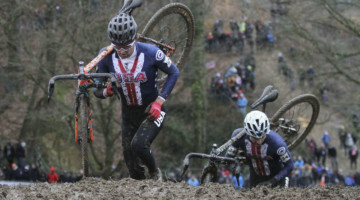 And of course, Cyclocross Magazine fans know that Noble graced the cover of Issue 29. 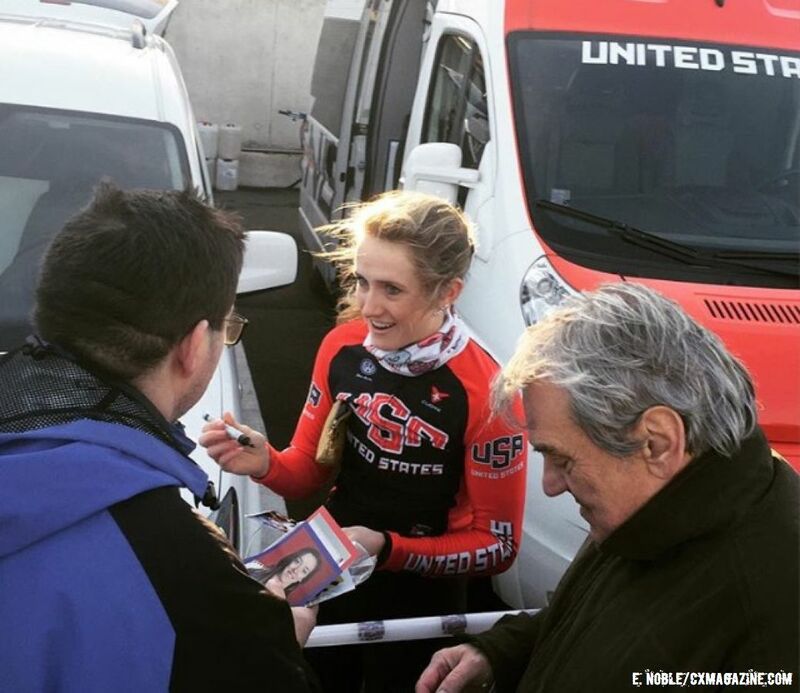 For her diary entry, Noble gives us a play by play of her race at Zolder and puts her experience into perspective. 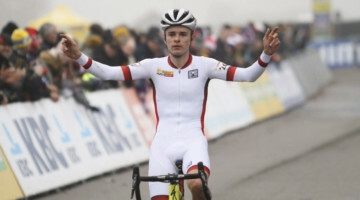 As I stand at the start line of the Zolder World Cup, I feel myself let out a sigh of relief. 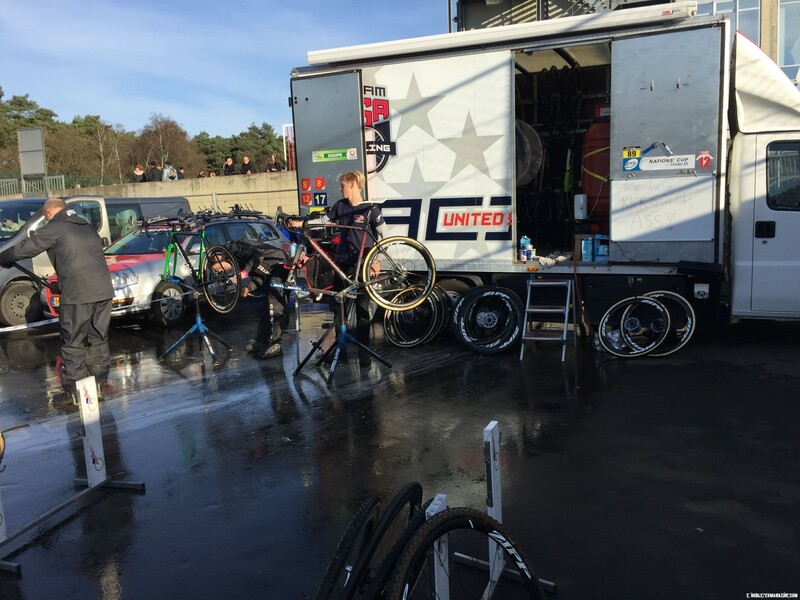 After one crazy World Cup, nine days in The Netherlands, Christmas Day training on the Zolder Course and an early morning of preparation including cooking, packing, eating, pre-riding, bike-washing, more eating, number pinning, rider card signing (I liked that part!) and warming-up, I have made it to the start. Now, I have only one job: race—and that is the fun part! The right traffic light didn’t turn green. As the left half of the field clipped in and began sprinting away, the right side remained frozen on the line. Within seconds, an official stopped the “runaway” side, and we re-staged. As the race starts for the second time, by whistle rather than light, I know I have my work cut out for me in order to achieve a good result. I find myself karate-kicking the starting board to my right—a feeble attempt to prevent myself from riding directly into it. Throughout the remainder of the race, I feel like I am fighting to keep my head above water. I am attempting to out-ride the bad luck that seems to be following me around the course. After the fourth time I am hit full-force by another rider, I decide this is definitely the most contact I have ever experienced during a race. On the second lap, my rear cantilever brake detached after a woman ran into the back of my bike. Unable to reattach it, I am forced to ride the steep drop with only my front brake. My front Avid Shorty Ultimate passed the test, and slowed me down enough to not crash on the steep, muddy drop! On the following lap, I want to make a pass on the same steep, muddy drop. I decide to carry a little more speed into the descent, and—with both brakes fully functioning—crash very hard at the bottom. It hurt terribly. And more than that, I was really embarrassed to have crashed in front of such a large crowd. The race continues in a similar, ungraceful fashion until I cross the finish line. Disappointed doesn’t even begin to describe the way that I am feeling. 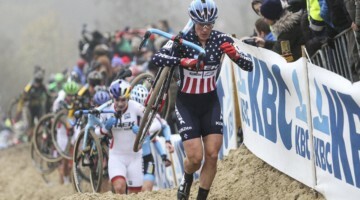 I see Emma White, leaning over her bars after a great effort, and pat her on the back. I begin to make my way back to the USA Cycling compound of vans, cars and box-trucks. I am already going over the race in my head, wondering what could have gone better. As I am scrutinizing every mistake I made, a memory enters my head: I remember that for five years I have dreamt of going to The EuroCross Camp with Geoff Proctor. I think back to reading every Rider Diary longingly. Only after a lot of hard work and improvement did I finally make it to the camp. Though I want to only focus on the mistakes I made, I take a step back and realize how much I have improved to get this amazing opportunity. I believe it took me having a bad result to realize just how far I have come, and truly appreciate this camp for what it is. Miss a diary entry from cross camp? Read all the rider diaries here. 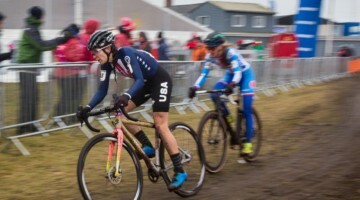 SO happy to see women being included in Cross Camp. 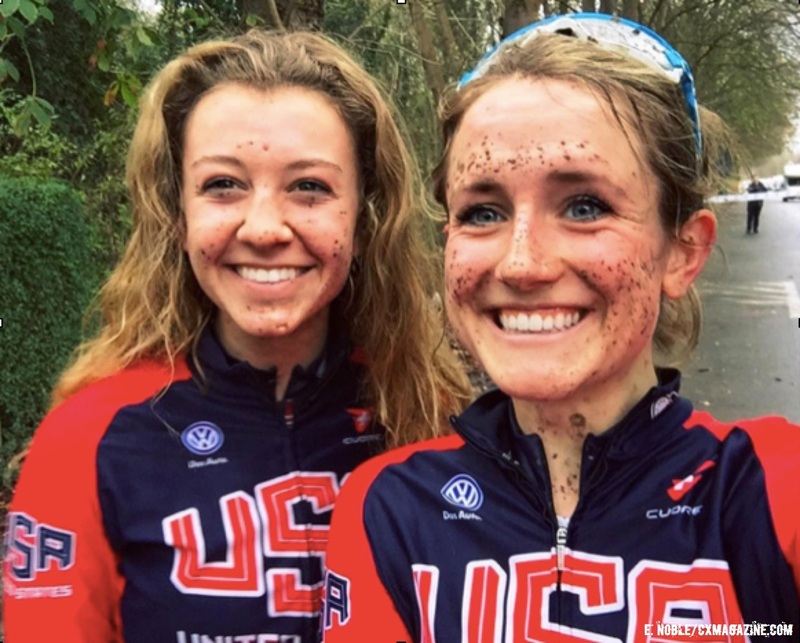 Hopefully the new U23 cat will let it expand for more women in the future.